How can’t we keep an artist on a monthly book? And why is it they can’t do anything but choose a worse one as a fill-in? Truth be told, there’s a lot of sitting around talking and the action doesn’t start until mid-issue. This “bird-boy” that the news has been squawking about has been freed (last issue, accidentally, when Cannonball was strung out on drugs) and the New Mutants think he might be a mutant of some sort. The Hellions are on their was as well. Magma has her sights set on Empath, even with his penchant for making friends and enemies alike feel things. Which will she choose, and will it be enough for her to switch schools. 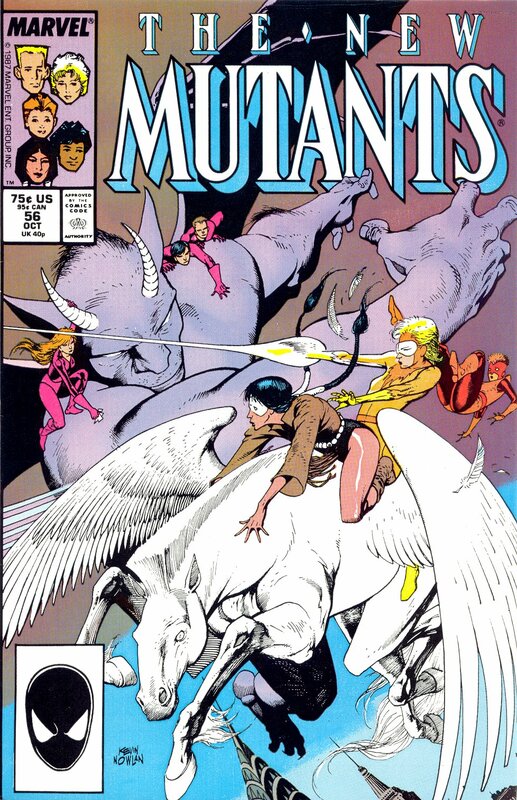 Oh, and the New Mutants don their graduation garb for some reason. Pretty unsatisfactory issue. After the debacle that was Fallen Angels, I’m happy to be done with this particular set of mutants after tomorrow’s annual 3.